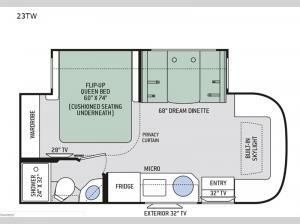 Let this Gemini Class C diesel motorhome be your favorite traveling companion for every road trip you take! With its convection microwave, two-burner cooktop, refrigerator, and stainless steel sink, you will have plenty of tools to create delicious meals during every getaway, and the 24" x 32" shower in the full bathroom will give you a chance to clean up after a day of playing outside. You will also appreciate having three TVs to keep you and your guests entertained throughout the entire journey! Get ready to set out to new destinations in a Gemini Class C diesel motorhome. Along the exterior portion of the Gemini you will find a Vacu-Bond laminated roof, walls, and floors with block foam insulation. Your extra camping gear can be stored in the Rotocast storage compartments with lights, and there is a power patio awning with integrated LED lights which will allow you to sit outside just a bit longer each night. 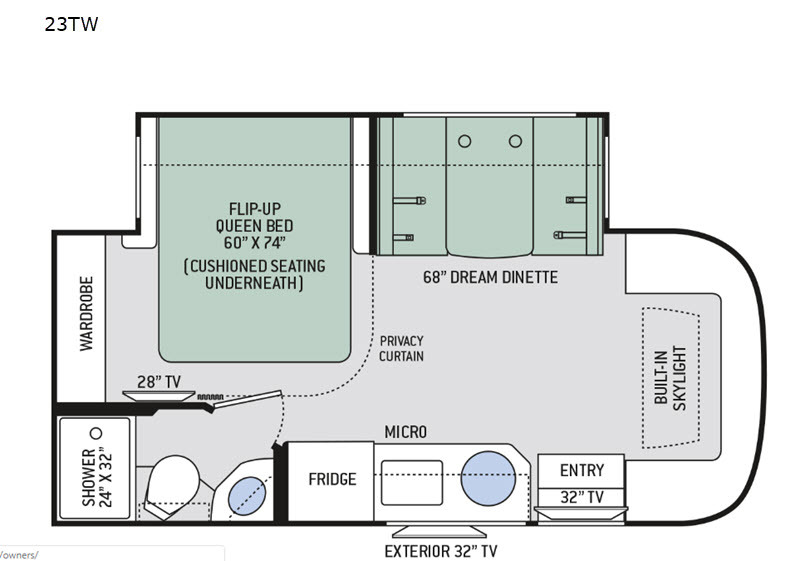 The interior decor of the Gemini has a modern and classy look with its residential vinyl flooring, Euro-style cabinet doors, and pressed laminate countertops.